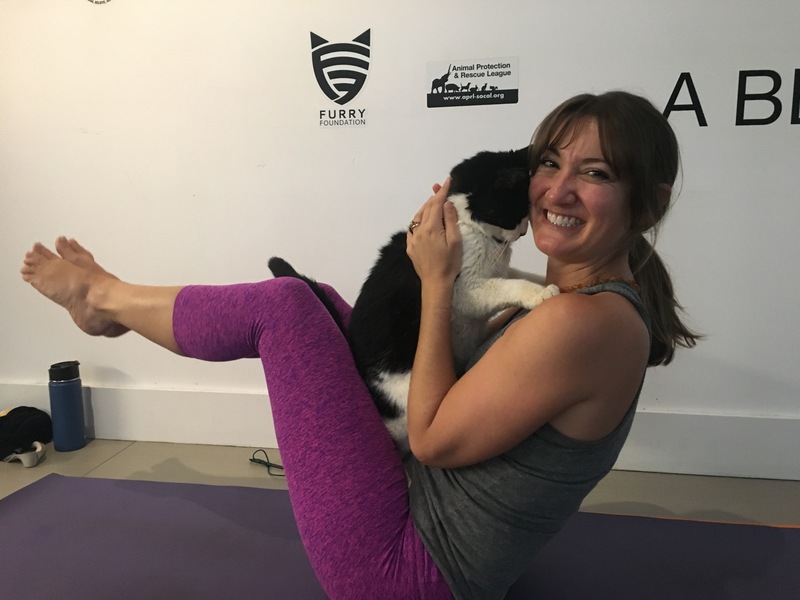 Yoga and Cats? It’s a thing. And it’s amazing! 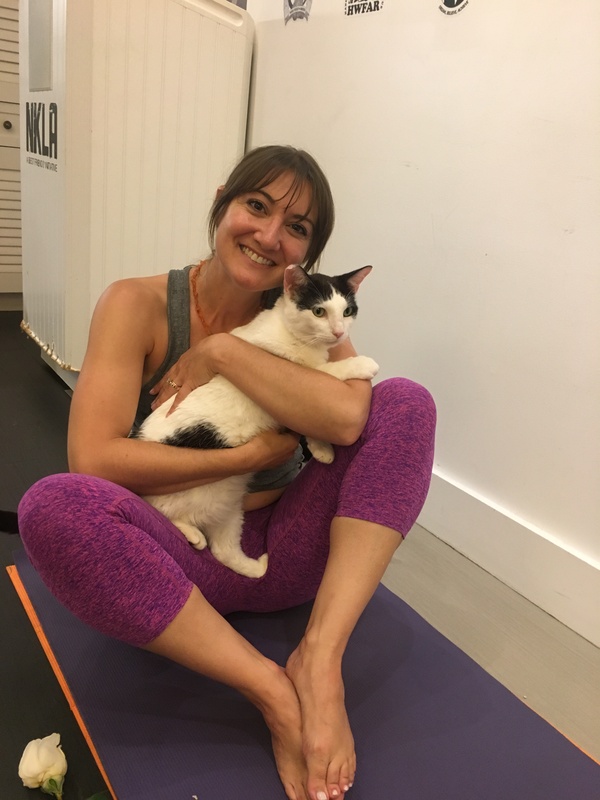 We have so much to learn from our feline friends. 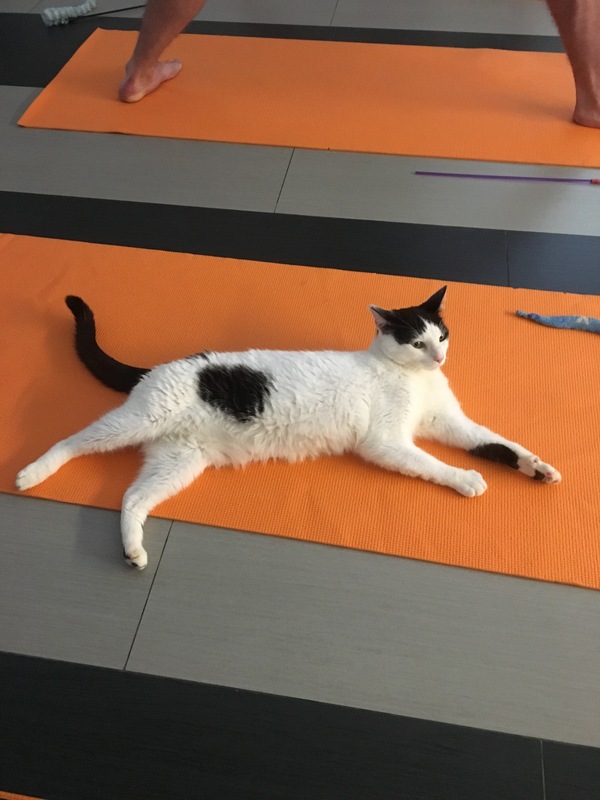 How to stretch after a cat nap. How to relax. And how to cuddle and give love and affection! 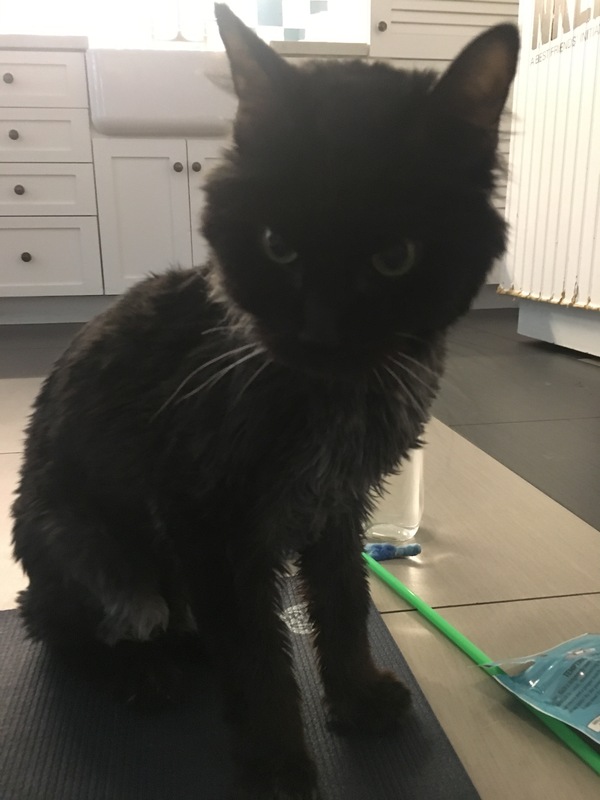 I personally believe that my own rescued cat – Frank Sinatra (on the right) – reminds me to take it slow. 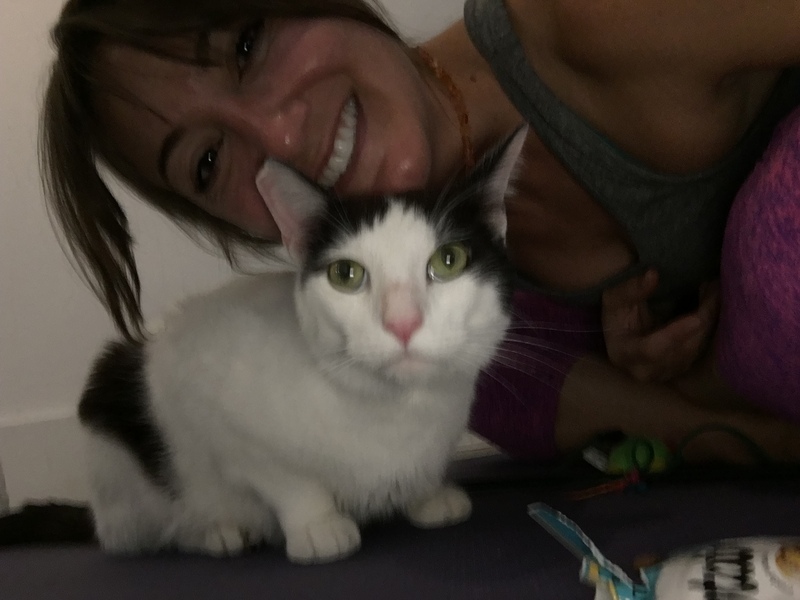 My best friend, Jill (see below) is one of the biggest animal lovers I know. 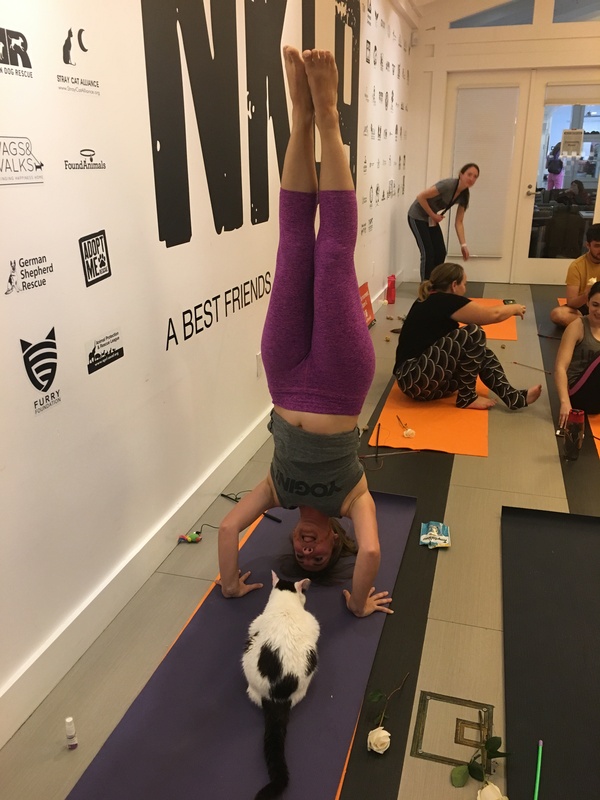 And when she mentioned that there was a yoga and cat class, we signed up right away. 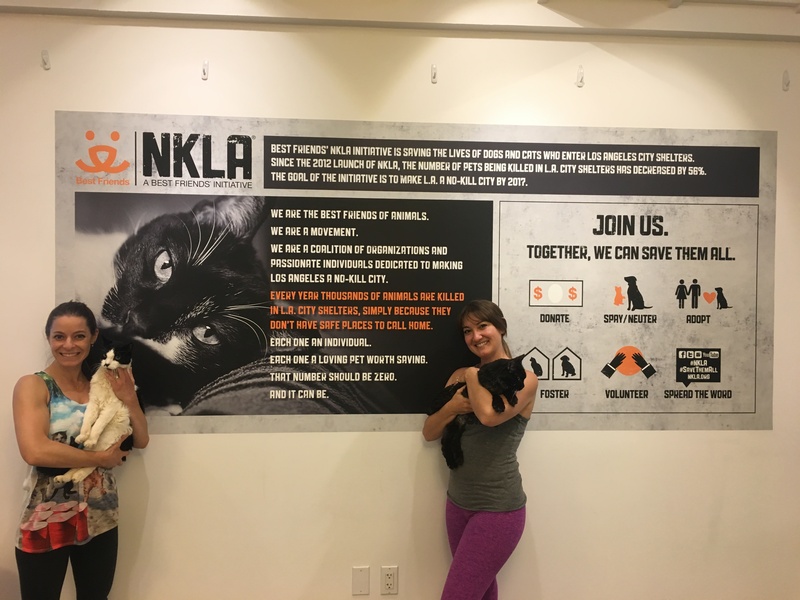 This particular event was hosted by NKLA, No Kill Los Angeles, is an initiative of Best Friends Animal Society to promote pet adoption and prevent the killing of animals who are in shelters. 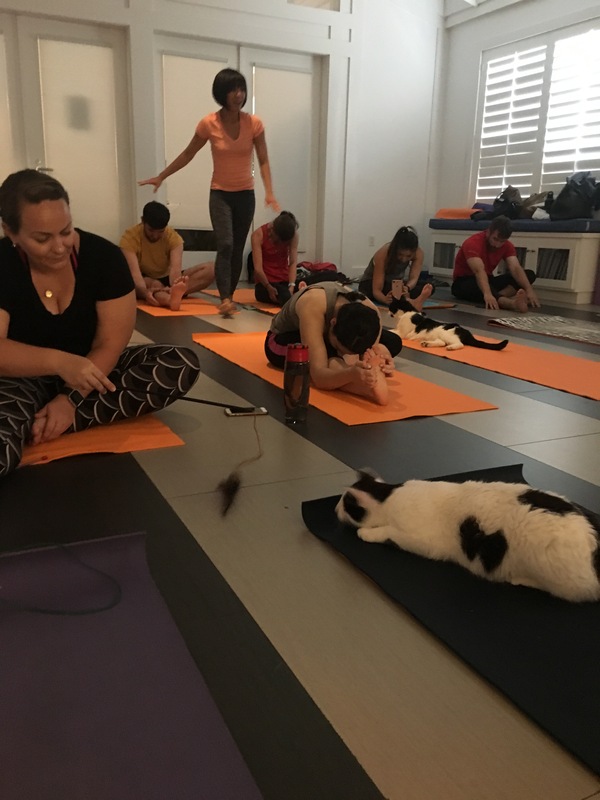 The yoga class was practiced in a room of about 6 cats, yoga mats provided for. The concept is simple. 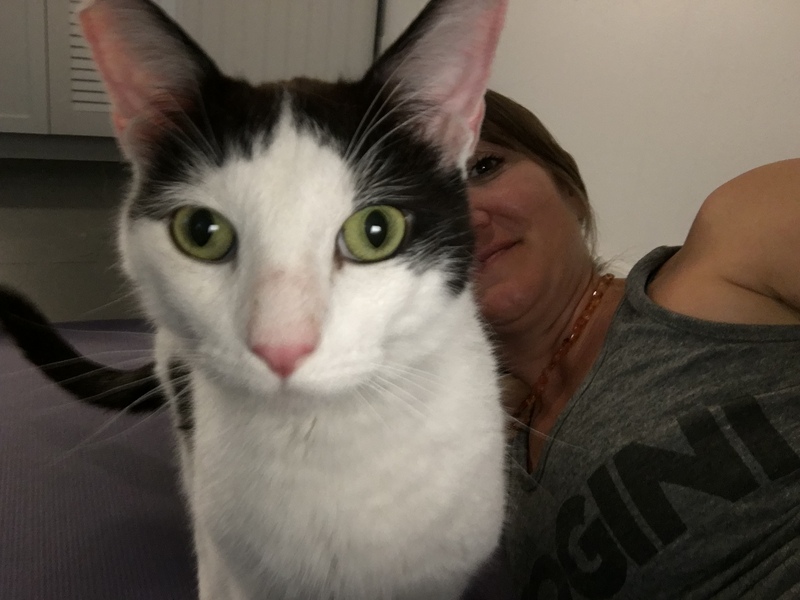 Your cost of admission goes toward helping spay and neuter animals and you get to meet, play, and love cats ready for adoption. 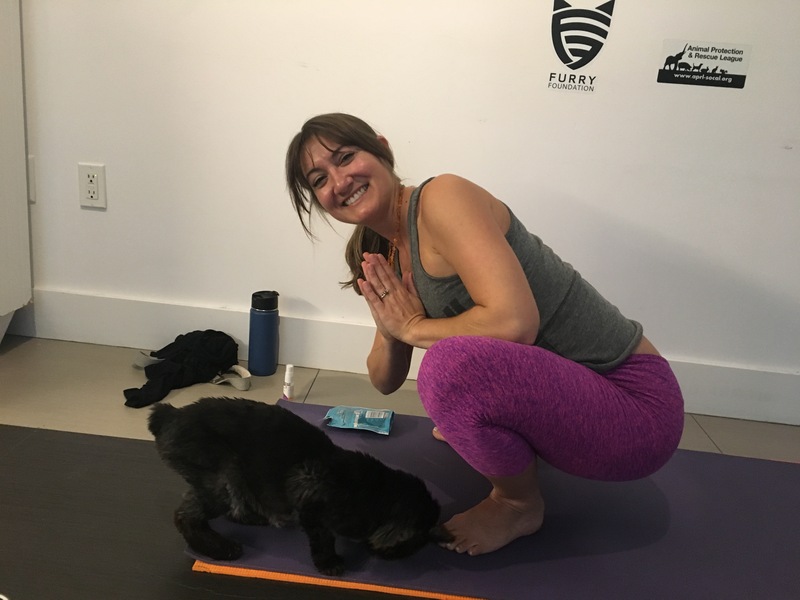 Take a look at the photos below and if you are interested in practicing yoga and help save an furry friend, here’s the link to their upcoming Facebook events. 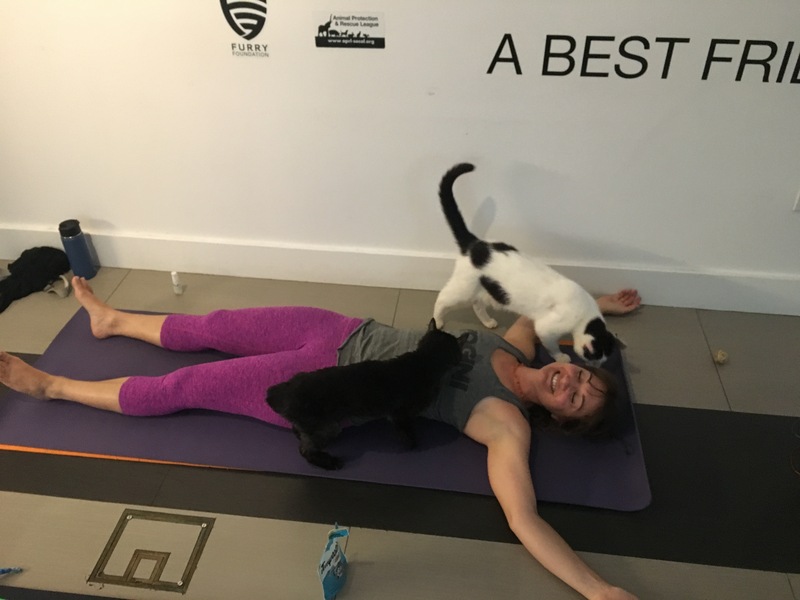 They do this stretch without any issue!